Last week START Global, the students’ organisation of the University of St. Gallen hosted their flagship annual event: START Summit, in partnership with Swiss Prime Site. More than 2500 participants including 573 startups, 1040 students, 256 investors, 65 media companies and like-minded people from over 80 countries came together to celebrate and embrace innovation. This year’s themes focused on five technologies; Blockchain, Virtual / Augmented Reality, Artificial Intelligence and Internet of Things. Each theme was discussed at a panel where experts gave their opinion on the economic implications of these technologies. Also the topic on diversity in the technology environment did not go untouched. The panel comprising Monique Morrow who has been in the technology industry since the mid-1980s; Val Racheeva, Co-editor of the Female Founders Book; and Leila Oppermann, project initiator of Ada, Accelerate women entrepreneurship in Berlin; gave insights on how to bridge the gender gap in the technology field. They stressed that, while it will always be challenging to find solutions to this problem, women should continue to be empowered, supported and mentored. The event culminated in celebration of the winner of the Start Sumiteer Award. 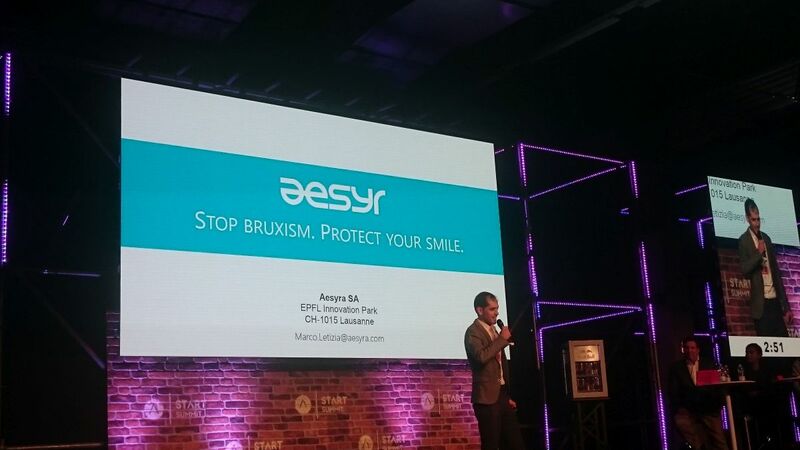 This year’s award was bestowed on the Lausanne based startup Aesyra, seeking to fight against Bruxism, a health problem involving teeth grinding or clenching, occurring during sleep or wakefulness. Almost 1 out of 10 people is affected. Bruxism can result in facial pain, teeth wear, severe damage and is too costly for dental restorations and prostheses. Therefore, Aesyra developed a wearable solution that helps patients to stop the teeth grinding and for clinicians to efficiently manage bruxism diagnosis, monitoring and therapy. Prototypes have already been tested by volunteers during several nights of sleep, generating bruxism clinical data. 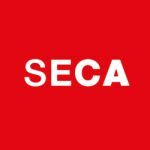 Seervision, a spin-off from the Automatic Control Laboratory of ETH Zurich, is developing a new kind of video camera to allow for autonomous video production. Vigilitech’s MARTA allows researchers to monitor animal's vital functions during surgical intervention effortlessly and non-invasively and to record data wirelessly with a phone or tablet. Komed Health offers a fully encrypted and secure platform for instant medical team and patient communication. Glasschair based in Munich develops a smart glass based solution with which people with disabilities can drive a wheelchair with head motions and voice commands. Yobs' “Artificial Emotional Intelligence” analyzes large amounts of unstructured data to understand the soft skills of applicants. Yobs Technology is based in the Silicon Valley.